Hey friends! Our newest Crafting it Forward episode is up. 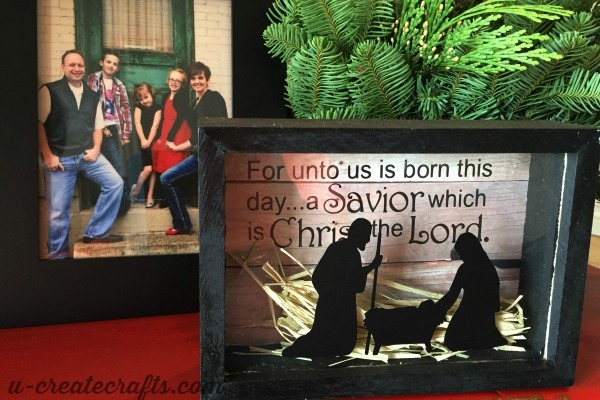 Today we are showing you how and why we made these beautiful Christmas Shadow Boxes. All you need is a small shadow box, paint and stickers or vinyl. Seriously this is an easy and beautiful craft! 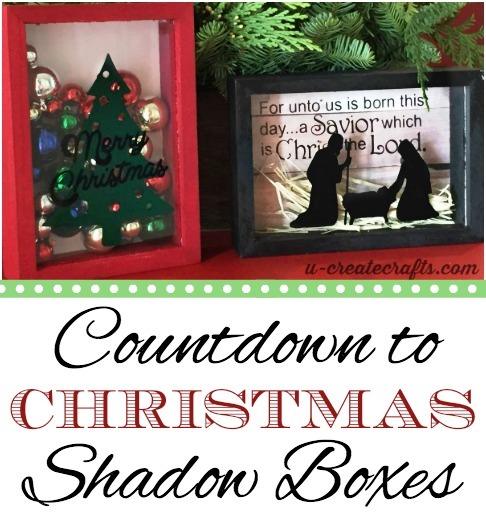 These Christmas Shadow Boxes would be great for a gift or keep it for yourself. My family adds a piece of raffia (straw) to Baby Jesus’ bed with every act of kindness they perform in December…whether they do it to each other or complete strangers, they get to add a piece of straw. The idea is to make Baby Jesus’ bed as soft as we can with the our service to others. This is my first time looking at your site and I know I’m going to love it. 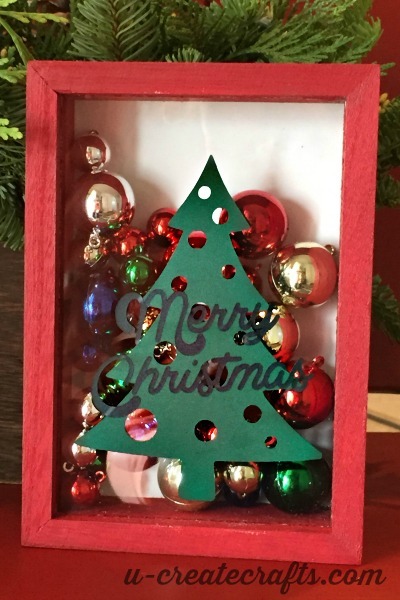 Your shadow boxes are beautiful – a great idea for next Christmas. Thank you so much for taking the time to make such a sweet comment. So glad you like our site. What an awesome idea to add straw with every kindness n make baby Jesus’ bed as soft as possible. We did many advent activities but I never thought of that and dont know where to get shadow boxes as we lived in a small town. Shadow boxes are definitely becoming a rage out here. Some people I know have put one in their bathroom right around their toilet paper and have placed a flower on top of the box for a more elegant look. These are all great ideas for your home. I love these!! I have purchased the nativity vinyl before for the stocking hangers project. Would it be possible to purchase the vinyl for this project? I would love to get my own die cutter but currently don’t have one.